Today's most popular Yamaha digital pianos now have the perfect finishing touch. This new Wenger workspace gives you plenty of room for all your piano accompaniments, and all at the ideal height. Simple, stylish, and stable, it's the smart way to optimize your time at the keyboard. 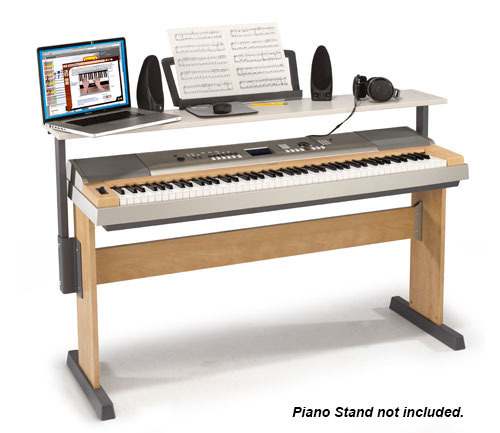 Computer shelf or work desk to allow work space above digital piano. Connects at the cross brace of your piano stand so it requires no additional fasteners.